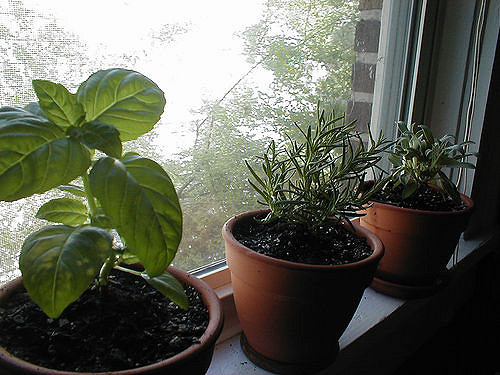 Do you like herb gardening? Did you know that some herbs are not just tasty but can also help you enhance memory? That’s right: you can get memory enhancing properties with herbs you grow in your home! Let’s face it: enhancing memory sounds very appealing to many people. On the other hand, using pills for this purpose is not the healthiest choice. Luckily, there is a healthy way to enhance memory: certain herbs are very effective and can improve your memory in no time. A great thing is that you can use them in many different ways. You can use them fresh or as part of your meals. It’s safe to cook them and prepare them in many different ways. Memory is important for many areas of life. First of all, it helps us remember the important moments of our lives. We all like to remember great things and all those wonderful moments in our past. Having great memory helps with your memories. It’s also essential for learning. Good memory helps with learning new information so it’s crucial for students and all those who wish to improve their knowledge. It’s also vital for our professional lives and performing numerous tasks. Sadly, modern way of living impairs our memory functions. Problems such as high blood pressure, drug interactions and poor thyroid function can do a lot of damage to memory. It’s not unusual for people to experience forgetfulness or to have moments when the mind goes blank. It’s not comfortable and it can happen to anyone. Luckily, there are some herbs that can help. They are a healthy way to improve your memory. The best of all? You can grow some of them in your home! Rosemary is a powerful herb. It is rich in carnosic acid, which can dilate the cerebral vascular tissues, thus enhancing the blood flow. Even the scent of the rosemary can improve memory performance, so this is why it’s useful to keep it in the office. Rosemary can help you enhance memory and calm nerves. It also stimulates the circulatory system and helps preventing the breakdown of neurotransmitters in the brain. This herb can be used in many different ways. Perhaps the most effective way to use rosemary is to seep it in hot water to make tea. It’s best to drink this tea just before hard work. Blessed thistle is great for improving circulation in the body. It is also very effective in eliminating toxins. This plant is known for providing nourishment for the brain through several healing properties, such as improving digestion and yes, enhancing the memory. This plant can be taken up to 3 times per day. It’s best to use it just before meals. It’s easy to make a Blessed thistle tea: simply put its leaves and flowers in boiling water and keep them for about 10 minutes. Bacopin is great for improving brain functions. It can also be used for enhancing memory and it’s very effective in treating memory loss. This plant also has numerous other health benefits, so it’s helpful to use it. Bacopin acts as an adaptogen, which is useful in combating stress. It will protect cells and restore cell damage. It effectively acts as a free radical hunger in the body so it cleans it and it improves the body’s overall well-being. This amazing herb can be used to alleviate the symptoms of anxiety. It stimulates brain functions and improves memory very effectively. This herb contains triterpenes, which are responsible for enhancing the formation of collagen in cartilage, bones and connective tissues. As a result, it promotes healthy blood vessels and also helps produce neurotransmitters, which are the chemical messengers in the brain. As a result, Gotu can give you a tremendous mental boost that will keep you alert through the day. To have this beneficial effect, you should drink a cup of tea made using one teaspoon of dried Gotu Kola. Mix the herb with one cup of hot water. You can add some honey, lemon or agave nectar to make it tastier: the leaves can be a bit bitter. Gingko biloba is an ancient plant with anti-oxidant actions that can stabilize the structure of brain and nerve cells. As a result, brain and nerves are protected from oxidative attacks made by free radicals. It’s demonstrated that the progression for Alzheimer’s disease is effectively prevented trough regular use of Ginko biloba. This herb also helps maintaining appropriate blood flow to the brain, which is needed to carry nutrients. This is why Ginko biloba is great for reducing mental fatigue, increasing energy and maintaining neurotransmitters in nerve cells.